Own a piece of coveted West Ranch. This custom built home is an entertainer's dream. Lounge by the floor-to-ceiling, massive fireplace or from your sunlit kitchen walk out and spend time on the oversized deck sipping your morning coffee. The kitchen flows into the living area and sitting room. While enjoying a cookout with your friends and family wander thru the garden areas and quiet walking paths throughout the property. At the end of the evening step into your private master bedroom or your main-floor study both that open up onto your private deck areas. Your guests can enjoy the huge bedroom in the basement or the two bedrooms upstairs all with their own full baths. Spread the family out with extra studio, office, work out spaces in the sunny basement that opens up to the covered Flagstone patio where you can watch the deer walk by. 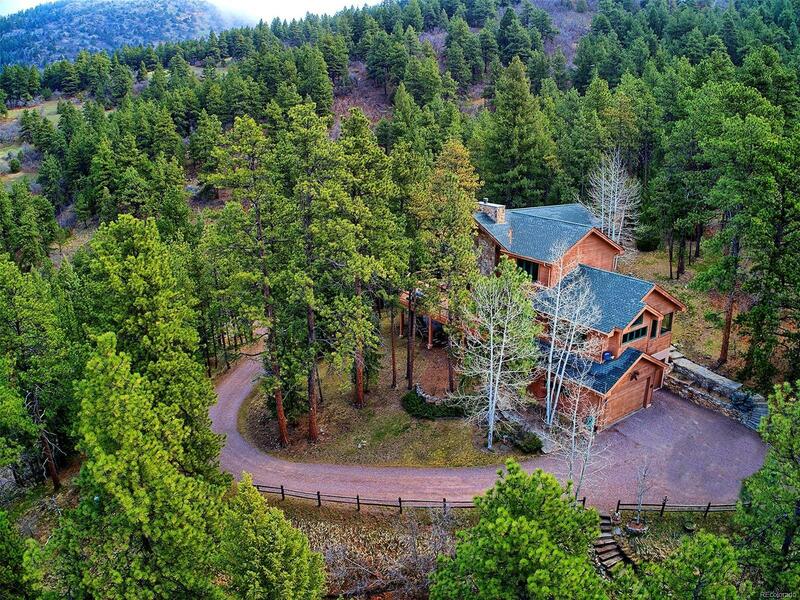 This home sits on 13.5 secluded acres with access to 500 acres of hiking paths/open space to roam. Cal for appt to experience this lovely property.